We’re Tottenham’s leading window and door installation and replacement company. We specialize in vinyl windows, entry doors, siding and masonry in Tottenham, Newmarket and Simcoe County. We understand that for homeowners, energy efficiency is very important. New windows will help eliminate drafts and reduce energy loss, providing you with less expensive heating and cooling costs. New windows will also enhance the curb appeal of your home while improving the indoor appearance of each room. Whether you live in a new build or older home in Tottenham, investing in new windows will significantly increase your home’s energy efficiency, natural light, and weather resistance. As competition rises for home seekers, replacing your windows will make an immediate and stunning impact on your home’s exterior, separating your home from others on the market. Awning windows open from the bottom out, directing fresh air into the home. These windows will bring in airflow, improve air circulation, and prevent rain and outdoor debris from entering the home. Awning windows are a cost-effective window option as they will increase the energy efficiency of your home. Bay windows are a stunning feature as they will allow more natural light to enter your home and enhance your view of the outdoors. Bay windows feature three panels extending outwards on an exterior wall. The front panel is flat and parallel to the wall, with angled side panels on the left and right sides. By design, a bow window will make your room appear larger. A bow window will create the illusion of a bigger room because of its protruding shape. Similar to bay windows, bow windows extend outwards from exterior walls, but typically incorporate four or more panels. Casement windows will give your home an added layer of security as they feature hook-shaped casement locks embedded within their frames. Casement windows can catch side breezes because their open sash will act as a flap to funnel refreshing outdoor air into your living space. Our team will ensure our windows fit seamlessly into the unique window size specifications of your home in Tottenham. Each window is tailored to accommodate any window shape and is masterfully fitted by our team of expert window installers. Double hung windows have two sashes in the window frame that can move up and down and also tilt in. With double hung windows, you have the option of choosing where air flow originates from in your home, allowing for improved air circulation. The single hung window has two sashes, with the top sash fixed in place and the bottom sash able to slide up and down. Only one moving sash means there are fewer points where the window materials can wear down and begin to allow drafts to develop. Slider windows have fewer parts than most windows, making them a low-maintenance window type for any home in Tottenham. Slider windows will increase air ventilation and provide you with a more natural and expansive view. Picture windows are fixed windows, which means they can’t be opened or closed. These large perfectly frame a beautiful view. Installing picture windows side by side is a great way to open up your living space to the scenic views outdoors, especially if you omit curtains and blinds. For over two decades, our team has been completing exterior remodeling services in the Tottenham and New Tecumseth area. Our proven eight-step window installation process will ensure we meet all anticipated budgets and timelines while maintaining consistent and open communication between our team and clients. If you notice your windows are foggy, drafty, or difficult to open and close, it’s time to consider replacing your windows. Since our installation process is so efficient and quick, window replacements in Tottenham are possible during all weather conditions. 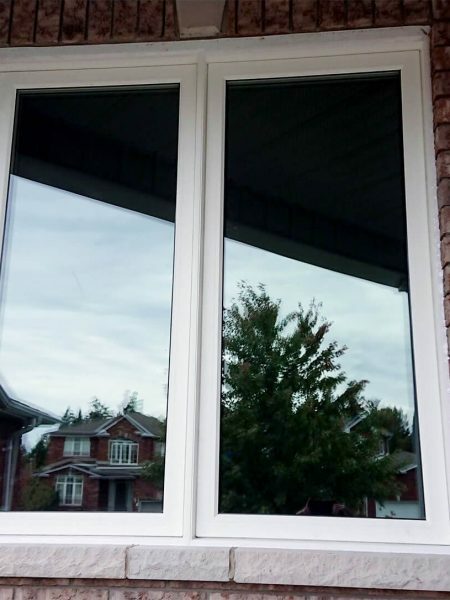 If you’re building or renovating a home in the Tottenham or New Tecumseth area, new construction windows will offer you the most options when it comes to customizing your windows. This flexibility will allow for a seamless window installation process and endless window possibilities. Weaver Exterior Remodeling window installers are truly experts in the field. We hire the most talented tradespeople in the industry to provide a level of service that will exceed your expectations. We are so confident in our window installers that we offer a complimentary lifetime warranty on their labour. I’m thinking about replacing the windows in my home in Tottenham. Is there a cost to receive a quote? No - quotes are free. Please contact us by phone or email to schedule a complimentary in-home appointment with one of our window and door specialists. Do you install new windows during the winter in Tottenham? How long does the whole process take? What are the main benefits of updating the windows in my home in Tottenham? Perhaps the biggest benefit will be a drastic reduction in your monthly energy costs. Installing new windows will also increase your home’s curb appeal and property value. I feel a draft entering my home in Tottenham. What window options will prevent outside air from entering my home? I am currently building a home in Tottenham. What types of windows are most recommended for new builds? New construction windows will offer you the most options when it comes to customization. This flexibility allows for a seamless window installation process and endless window possibilities. I live in an older home in Tottenham. Will replacement windows fit in my home’s unique window specifications? How long will it take to replace the windows in my home in Tottenham? My home in Tottenham doesn’t let in much light. What window options are best for maximizing natural light? Do any exterior elements of my home in Tottenham need to be removed when new windows are being installed? What is the most cost-effective window option for my home in Tottenham? We are happy to provide you with a complimentary, in-home assessment with one of our specialists to gauge the best window types for your needs. Tottenham is a community in the town of New Tecumseth within the county of Simcoe, Ontario. With a mixture of strong historic roots and beautiful scenery, the village boasts a relaxed and slower pace of life. The community provides residents and visitors with a picturesque getaway and an opportunity to explore and appreciate the outdoors. Offering camping facilities, fishing, canoeing, and nature trails, it’s also home to an abundance of wildlife. Located within the town of New Tecumseth, Tottenham is the most southern community in the county of Simcoe, Ontario, situated north of Highway 9 and 20 kilometres west of Highway 400. The population of Tottenham is estimated at 5,143. Whether enjoying the historic charm of the downtown, experiencing a ride on a vintage train, or listening to the rustic sounds of a banjo, Tottenham is a place where visitors and residents can slow down and relax. Incorporated in 1884, records show that there were settlements in this area as early as the 1800s. Much of Tottenham’s history was influenced by trains and railways. In fact, the construction of a railway through the village was responsible for increasing the population of the area to approximately 700. Tottenham is home to Ontario’s First Steam Heritage Railway, the South Simcoe Railway. Not only did the railway create growth in the village, but it also helped to encourage industrial growth with the establishment of the Coleman Fare-Box Company. In addition to the South Simcoe Steam Train, there are many attractions located within the village of Tottenham. Named one of Ontario’s top family festivals, the 3-day Tottenham Bluegrass Festival is held at the Tottenham Conservation Area and features award-winning bluegrass musicians. Tottenham is approximately a two and a half drive north of Toronto, surrounded by numerous smaller cities and towns including Barrie, Newmarket, Bradford West Gwillimbury, Innisfil, Alliston, Collingwood, Midland, Gravenhurst, Parry Sound, Orillia, and Angus. Our windows are designed with cutting-edge technology that combines energy-efficient frames with high-performance glass. By investing in new high-efficiency windows, you will improve your home’s ability to sustain a warmer interior during frigid temperatures and accumulative snow. Investing in new high-efficiency windows is one of the most effective ways to increase the comfort of your home while saving money on energy costs. We understand that each client’s need is unique, so we take care to listen to your specific requirements before we prepare a detailed quote.